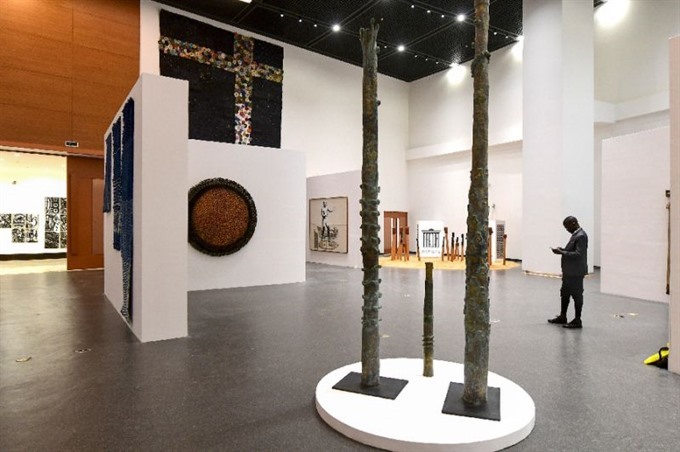 DAKAR — A museum showcasing black heritage from the dawn of time to the modern era opened in the Senegalese capital Dakar on Thursday. The opening came as African countries press harder for the restitution of artwork from their former colonial masters – and as France made its first steps in that direction, pledging to return artworks to Benin. "Today rekindles in us the precursors of pan-Africanism and African identity," Sall said after cutting the symbolic ribbon at the ceremony. Among the guests was Chinese Culture Minister Luo Shugang, whose country financed the project to the tune of 30 million euros (US$34 million). Spread over 14,000 square metres, the museum has a capacity to house 18,000 pieces, said museum director Hamady Bocoum. It should not be "a place of nostalgia but a crucible of creativity, a factory of self-esteem," said Thioub, rector of Dakar’s Cheikh-Anta-Diop University. The museum is among several new – or overhauled – facilities springing up around Africa that bolster growing demands for the restitution of artworks spirited out of the continent since colonial times.